In 1995, Paul Pena, a blind bluesman became the first American ever to compete in an unusual contest of multi-harmonic "throatsinging." The Autonomous Republic of Tuva, wedged between Siberia and Mongolia, for centuries has been isolated from the rest of the world by jagged mountains and Soviet restrictions. Only recently has the Tuvan art form of throatsinging become known to the outside world. Pena discovered this artform while listening to a program on Radio Moscow fifteen years ago. The idea of of multiple sounds emanating from a single vocalist so fascinated Pena that he spent the next decade training his own voice to produce similar overtones, overtones which would become incorporated into his music. In 1993, Pena discovered that the Tuvan throatsingers were on tour in the United States. After the performance, Pena seranaded the Tuvans with his own rendition of throatsinging. The throatsingers were amazed with Pena's mastery over the Tuvan art form and insisted that he travel to Tuva for the next tri-ennial throatsinging contest being held in 1995. 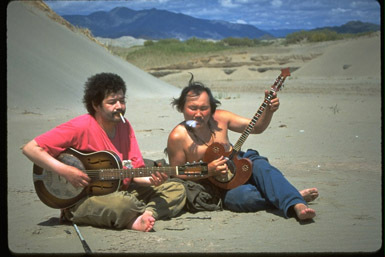 "Genghis Blues" is the story of Pena's relationship with this unique art, the art of throatsinging. It is a film about exploration and friendship. It is the story of a man whose struggle in life is not defined by conformity and rules but by an unquenchable curiosity and a love for music. In 1989, Roko Belic enrolled at the University of California at Santa Barbara where he majored in Studio Art. He studied Russian, Swahili and Arabic languages. Roko took time off in the midst of his studies to work and traverse the world. Although "Genghis Blues" is the first of his professional efforts, he has made other films throughout his educational career. Adrian Belic majored in Political Science at the University of Southern California. Enrolling in 1988, Adrian took multiple film courses and worked on student productions as well as voyaging the sea for 100 days. 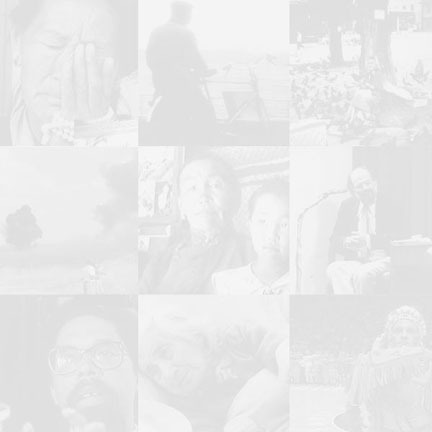 "Genghis Blues" is also Adrian's first feature film.